You are looking for the perfect pair of sunglasses to complete your Blues Brothers outfit. You must choose this one. 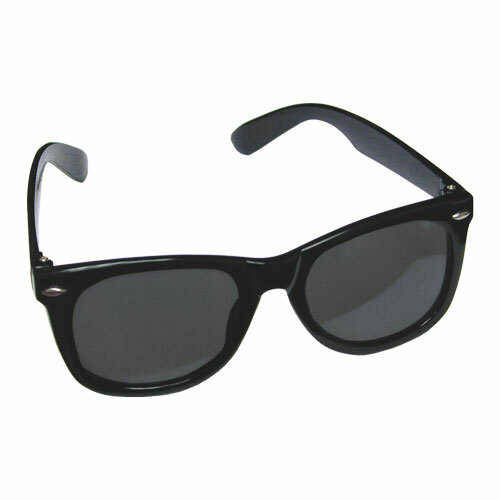 The Blues brothers sunglasses will allow you to embody your role as a famous musician 80`s blues. Whether for a music show , theatre or simply complete your Halloween costume, it`s the bezel that you need. Black plastic glasses are suitable for all types of faces and fit well both men and women. You will be confident and sure of yourself with this pair of sunglasses very light and comfortable. The glasses are made of black plastic and they are sold in packs of 12. Not recommended for children under 5 years old.